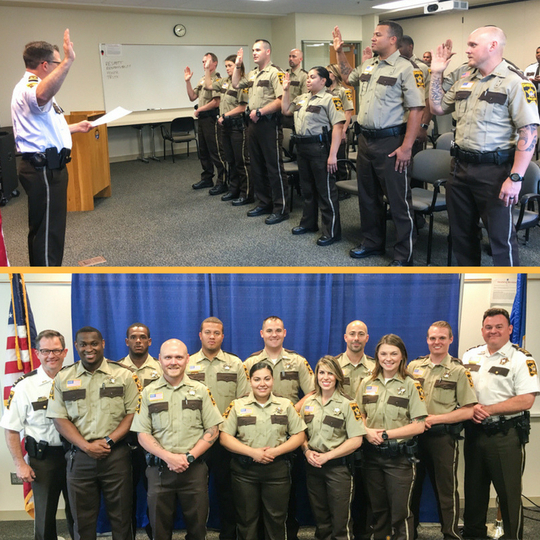 June 22nd was a pretty great day, in our books, as we welcomed ten brand new public servants into the fold. Congratulations to our new Correctional Officers who successfully completed their Correctional Officer Academy training. We're glad you chose public service, and we look forward to seeing the great work you do for our community. What better time to learn about bike safety than when you're just learning to ride a bike. 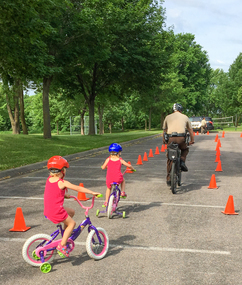 Forty kids, young and old and in all stages of bike-riding proficiency, joined us in late June for our Bike Rodeo at Island Lake Park in Shoreview. We had an awesome morning going over rules of the road, doing equipment checks, learning bike safety, riding a skills course, and even providing a few bike helmets to those in need. It's one of our favorite times of the year - Hot Dog with a Deputy season! We recently entered mid-season with our latest event in Arden Hills last week. 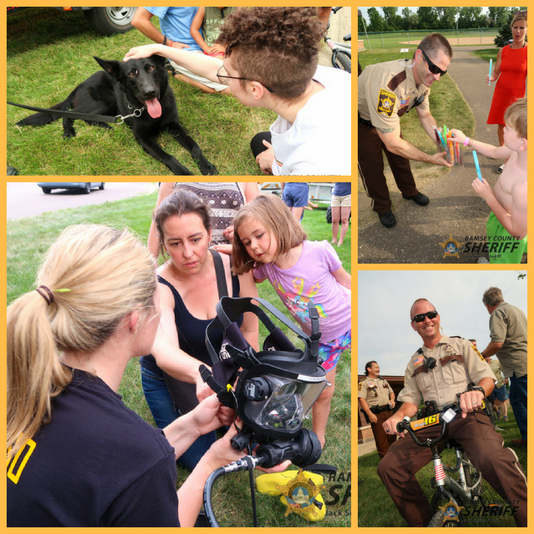 100% = RCSO members who enjoyed another great summer evening getting to know our city officials, neighbors, families, kids, and family pets in a Ramsey County community. Thank you for making it another wonderful summer event. Look for our next Hot Dog with a Deputy events on July 17th in North Oaks and July 19th in Falcon Heights. 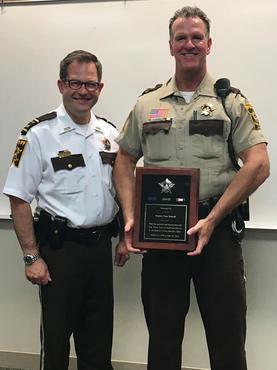 In late June, Sheriff Serier presented Deputy Tom Dahedl with official retirement hardware and thanked him for his 30 years of service in Ramsey County. Deputy Dahedl most recently served in the Human Services Unit. According to an inside source at the Sheriff's Office, Deputy Dahedl (who was actually Mr. Minnesota in 1998) plans to use his retirement time to continue his fitness and bodybuilding regimen, play golf, spend time with his grandkids and family, and enjoy time with his friends. We'll miss Deputy Dahedl's great character and ability to put everyone at ease and immediately light up a room. 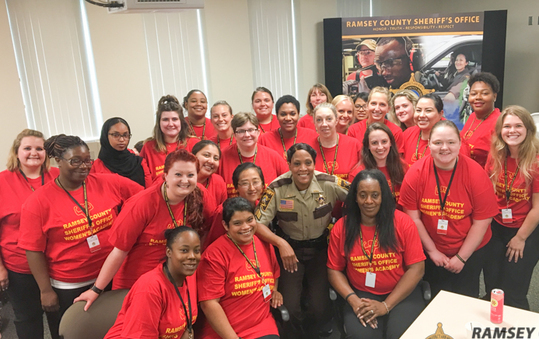 On June 15th, we wrapped our first ever RCSO Women's Academy and graduated 30 great women from our program. Several of the women described the Academy as life-changing and said it helped them cement decisions for their future paths, including pursuing careers in public safety. RCSO Sergeant Kirkland, who created and developed the Academy, said one of her goals was to challenge our participants to,"dig deep and to be uncomfortable." Over the course of the week-long Academy, the women experienced traditional law enforcement training in patrol operations, defensive tactics, tasers, and firearms. Beyond that, they also experienced nutrition and yoga sessions, motivational leadership seminars, and participated in community conservation field work at a local nature area. 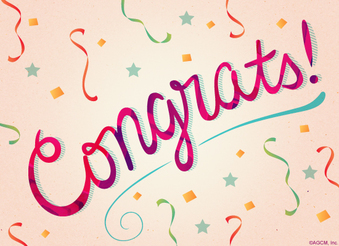 The week was capped with a resource and employment fair and a graduation ceremony. Thanks to our both our RCSO members and our participants for a memorable and purposeful week! Check out Women's Academy media coverage by Kare11, Lillie News, Fox9, and White Bear Press. Graduating from the pool to the open water...and beyond! 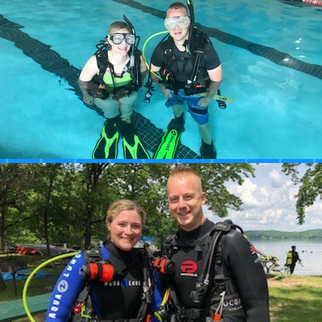 Congrats to Deputies Ouellette and Wahlberg on completing their foundational scuba diving training and becoming PADI Open Water Diver certified! Deputies Ouellette and Wahlberg have spent the past 1.5 years in essential roles as dive tenders and look forward to becoming the newest Ramsey County Dive Team divers! Every year in Minnesota over 30,000 people contribute their time, effort, and skills to building or repairing over 300 homes as part of Habitat for Humanity projects. 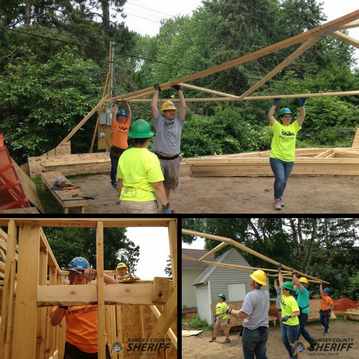 In late June, it was our turn to join with a great team of people, don some hard hats, do some heavy lifting and light construction, and make our contribution at a Habitat for Humanity - Twin Cities project in the community of White Bear Lake! We'll be back at it for round two the week of July 30-August 3rd! Great work by Deputy Grandner who recently wrapped up a battery of intensive coursework through the Institute for Credible Leadership Development (ICLD), which was sponsored by the Minnesota Sheriffs' Association. The coursework included such topics as conflict management, interpersonal communication, versatility skills, and organization development. 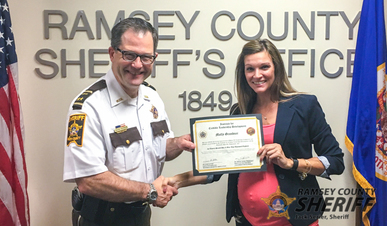 Deputy Grandner is our fourth RCSO member to complete the rigorous ICLD coursework – congratulations. Our Deputies are on the lookout this summer for kids who are wearing helmets while bike-riding, in-line skating, skateboarding, or riding scooters! 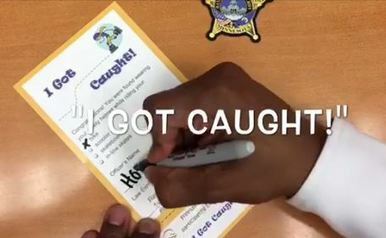 And if we "catch" you, we may write you a coupon for a FREE DQ small ice cream cone. We're asking kids (and adults) to be safe this summer and always wear helmets during these activities. Thanks to Dairy Queen and AAA for providing 50,000 free DQ coupons throughout Minnesota. One workday in early May, Upper River Services employees Beasley Baker, Ben Brooks, Russ Galvan, Randy Kohl, and Jesse Harrison banded together to rescue a man who had jumped off a bridge into the Mississippi River in St. Paul. 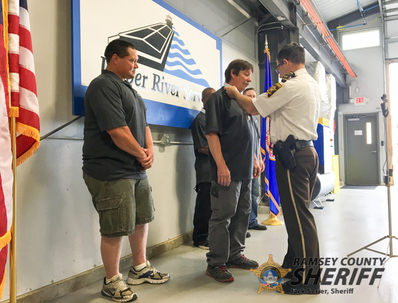 In mid-June, these men were recognized by Sheriff Serier, the RCSO, and the U.S. Coast Guard for their lifesaving actions and were presented with the Sheriff's Award for Excellence and a U.S. Coast Guard Certificate of Merit. We always enjoy “meeting” you out on Facebook, Twitter, and Instagram and sharing news and information. There is one thing, though, that we ask you to NOT share with us on our social media platforms – reports of crimes and suspicious activity. Remember that we are here to serve you, help you stay safe, provide you with resources, and respond when you need us. You are not bothering us by requesting our help. Our trained police and fire dispatchers are available to take your calls 24/7 and provide timely and appropriate response. The takeaway from all of this? 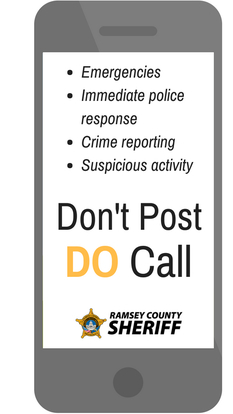 For emergencies, issues that need immediate police response, or to report crimes or suspicious activity, don’t post, DO call. Join members of the Ramsey County Sheriff's Office for our popular summer get-togethers and enjoy a "Hot Dog with a Deputy" at locations throughout Ramsey County. We'll be bringing our squad cars and gear, plus plentiful hot dogs, chips, bottled water, and frozen fun pops. It's our treat! 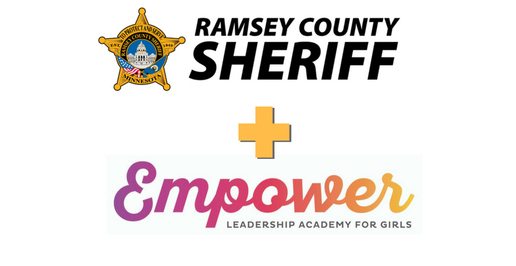 We're excited to be partnering with Empower to offer a special half-day leadership event for girls in grades 5-12. Event participants will learn about leadership, confidence, resilience, and well-being through hands-on activities. The event will break-down into two sessions. Lunch will be provided for all participants from 12:00 - 1:00 pm. This event is FREE of charge, and space is limited for each session. RSVP to Inspector Merci Dahedl at 651-266-9368 or via email. Night to Unite is a summer celebration that gathers people, neighborhoods, and public safety personnel together for an evening to promote safe communities. You can participate in Night to Unite by attending a party or hosting a party. See complete participation details and instructions or contact our crime prevention personnel at 651-266-7339.